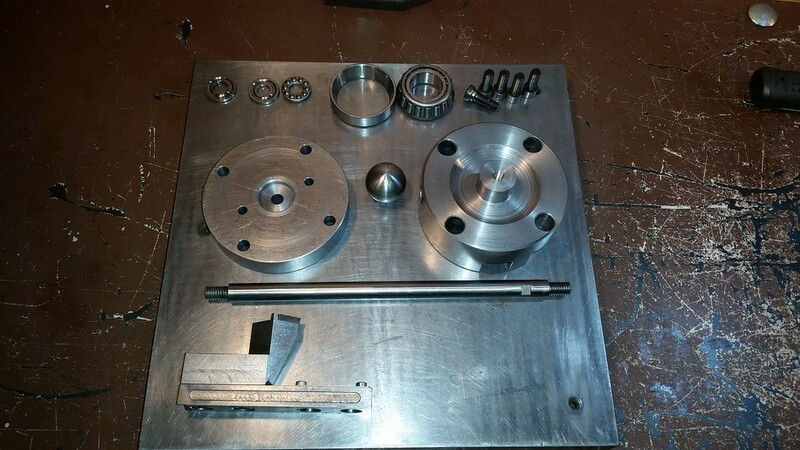 I have been thinking about building a radius turning tool for a while now. I have been working on plans in my head for a couple of weeks now and got to work on it this weekend. 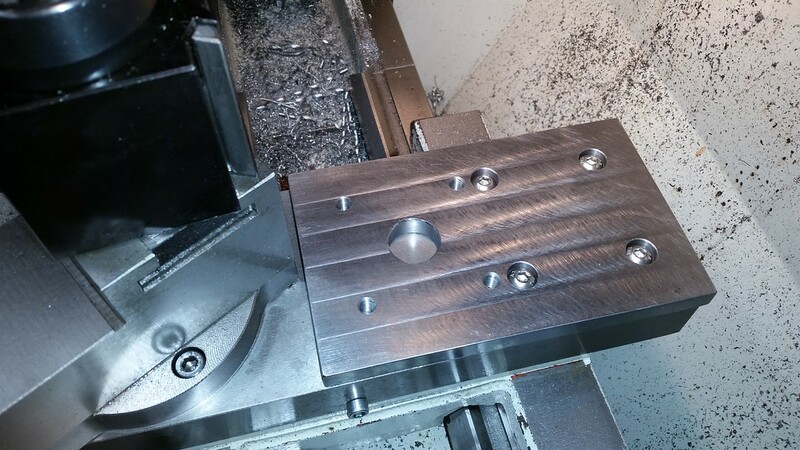 My lathe has t-slots on the cross slide so I machined some t-nuts and a mounting plate for the body of the radius tool. The compound does need to be removed to use it but the cross slide stays more centered in it's travel so I chose not to mount it using the compound bolts. I copied a design I saw on another forum but added a second bearing. 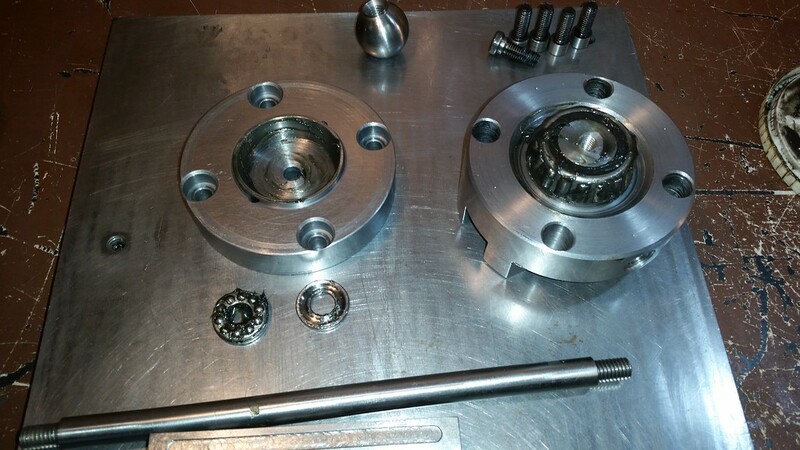 It has a tapered roller bearing on the top and a thrust ball bearing on the bottom. The bearings are packed with grease and slightly preloaded which makes for very smooth stable turning action. 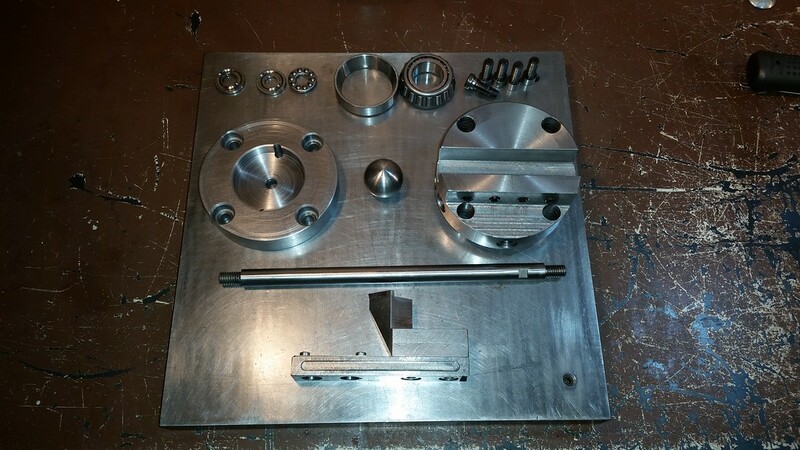 The cutter head is mounted to an adjustable slide that is secured from one side with four m8 set screws. 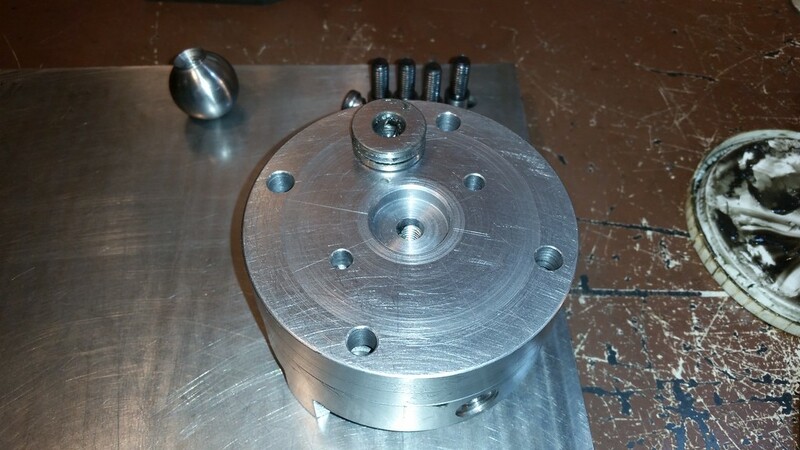 The cutter head can be mounted 2 ways to provide more options for different size radii. It can machine a ball up to 3.125 inches in diameter and can be adjusted to make a large range of concave radii as well. I made a couple of balls, one for the handle of this tool and 1 for the spindle clamp on my mill. They came out pretty smooth and didn’t need much polishing to be made shiny smooth. It uses a TCMT insert which has a 6 degree positive rake. VERY NICE! I really like your ball bearing set up. 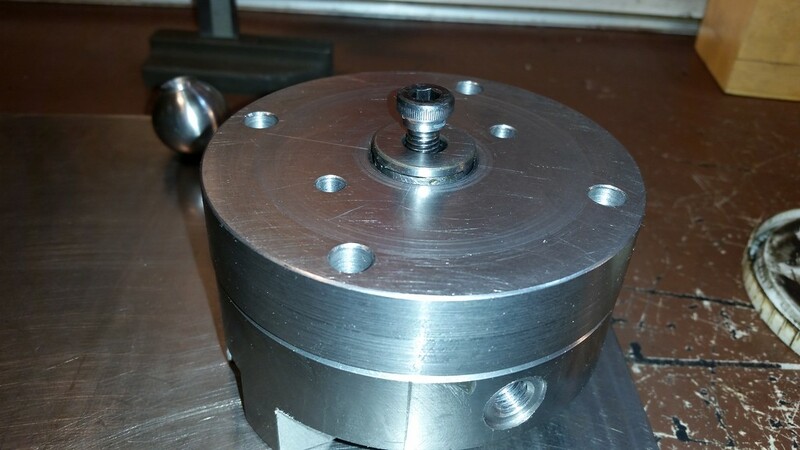 I made a ball turning tool myself but didn't really know how to do the ball bearing thing. I ended up using a non tapered bearing but it's not quite right. I was showing my wife my newly completed project and she asked what I needed a ball turner for and I told so I could make a ball for the handle of the ball turner! Well done!!!! 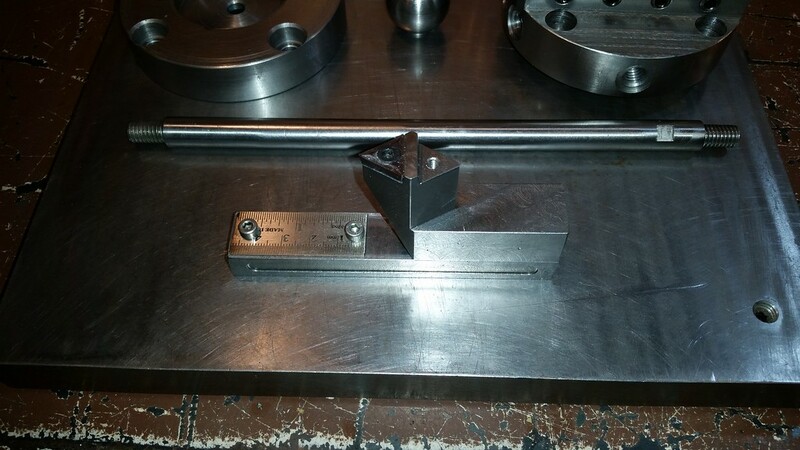 Can you provide a better image of how the tool is mounted. Please. LOL..... I have encountered books that suggest projects that require the project itself to complete. Click on one of the pics and you get a whole album of awesome pictures! I like it! Your design actually looks more solid than a Holdridge C-frame sitting up on the compound. You'll probably find many uses for this. A lot of machinery accessories are just nicer looking with ball ends or even simple round-overs & maybe a bit safer too. I like looking at older machines with their fengshui elliptical blended profiles that pleasingly fit the hand. Or you can be the first kid on your block with egg-shaped motorcycle bar end weights! LOL. Good project. That's a very nice build. Well done! Been considering building one or purchasing one as well. For this arrangement how does one advance the cutting tool? Advance the cross slide? I must not understand how this thing is mounted on the lathe. Here Tubalcain will explain all much better than I. He has a few examples of turners. 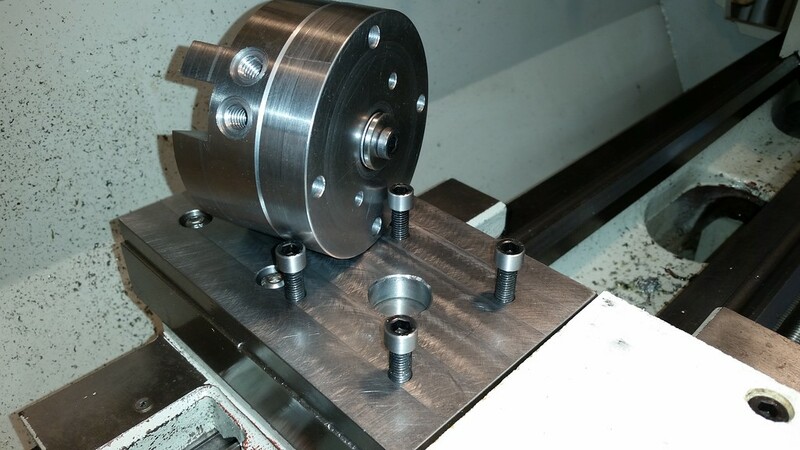 My lathe only has 2 1/4" clearance between the cross slide and the center of the chuck, so a horizontal swivel base approach is not practical as far as I can tell. I drew up some plans for an over the top ball turner (same as the LMS offering I posted) and am now wondering what orientation the tool needs to be. I assume 90 deg clockwise (from normal) such that the cutting edge intercepts the oncoming metal as it turns into the tool at the top of the swing (am I making any sense here?). 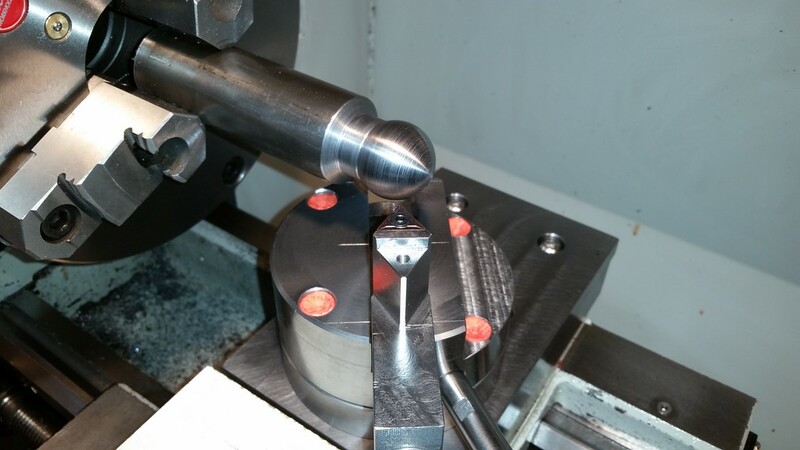 This affects how high the support arms need to be when using a standard carbide insert tool. Also affects where the tool holder hole needs to be positioned on the swing arm. Am I on track here? Also, forgive me father but I am about to sin and go to MSM to source the materials I need. Base - 1/2" X 2" X 6"
Swing - 1" X 3" X 3 1/2"
Anyone want to suggest an appropriate steel for this project? What I'm not too crazy about on that LMS configuration is if you happen to go too far over towards the chuck to make a more complete ball, your hand & the handle is in the kill zone of the spinning chuck. 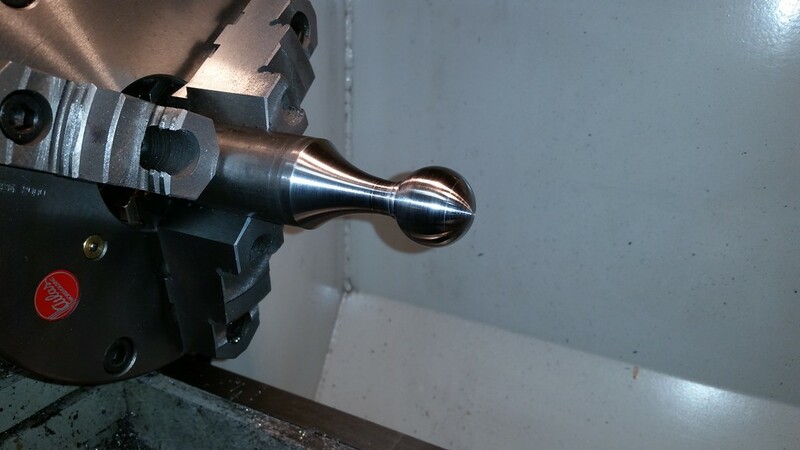 If you happened to slip or drop the handle on that side of the lathe into the chuck, that would get ugly for the machine. Maybe there is a stop I'm not seeing but anyway, that's my armchair engineering assessment. Then there is the 'turnado' which seems just slightly less yeesh, but when you watch the video seems ok on light cuts & soft materials. I've had some ideas in my head of a 'duplicator' to make replicate curvy or profile parts from a 2D template but it will probably take a specific project to bump it up the que. I have a round tip carbide parting tool & was just mucking about cutting into material like a parting blade & I thing it would be perfect for this kind of application. It would never be as smooth as a pivoting radius mechanism, so leave that to the radii ball makers. Horizontal or over the top arrangements have is the same chuck collision issue. You're right. I just thought about that after I clicked Reply. I guess you have to either have more arbor stickout from the chuck or maybe use one of those hocky stick bent cutters to keep the swivel away from the chuck. Good discussion guys. 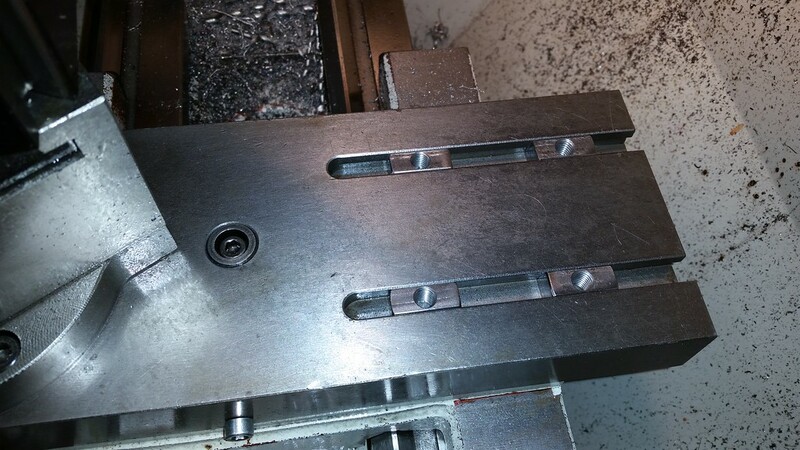 I tapped a few different hole locations for my handle to keep my hands away from the chuck but I think the safest way is to use a collet chuck hence my recent 5C chuck purchase.